Potatoes and pizza never would have crossed my mind. This recipe came from Andrew’s idea to turn our favorite meals into pizza. A simple dish I enjoy making is roasted red potatoes topped with the typical potato toppings so I tried turning it into a pizza tonight. I sliced the potatoes very thin and roasted them with Wegmans Basting Oil with Garlic and Herbs. 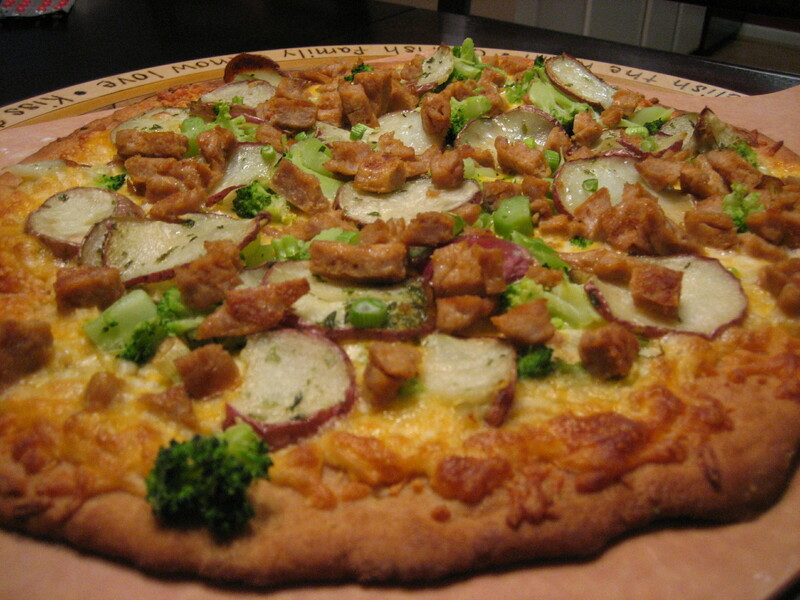 I brushed the dough with the same basting oil, added scallions, Colby cheese, chopped broccoli, mild Italian sausage and the potatoes. We both really enjoyed it!